Public Remarks: Purchase on or before 3/31/19, receive $10,000 in Seller Approved Options Incentive & Up to $3500 in Closing Costs when financing is obtained through our preferred lender. 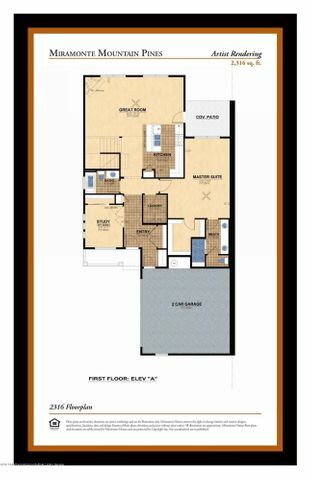 This spacious and nicely appointed town home features 3 bedrooms, 2 of which are master suites, and 4 bathrooms with a study that can be used as a 4th bedroom. Other features include 9' ceilings and 8' doors throughout the unit, with the exception of the great room where you will find a 20' ceiling! Dual pane low E windows and glass sliding door, air conditioning, keyless garage, and a gas drop for the bbq on your covered patio are other features you will find in this home. Finishing touches include brush nickel bath accessories and electrical fixtures, 36'' cabinets with Georgetown Cherry finish in kitchen.